Laptop can be regarded as the condensed form of desktop, and it has become one of the most popular machine in modern society. Almost everyone from company leader to house holder has a laptop. The major explanation of the popularity of laptop would be the flexibility and versatility. It is so portable that it can be taken to anywhere you want. This benefits college students and businessmen, as they do have to bring pend, papers, or books to attend class or meetings. A laptop can solve all these problems, and usually the batteries can keep working as long as 4 hours. Thus all desired files and data can be stored on laptop for the use at any time. Operating system and files of laptop are stored on hard drive as well. Nowadays, the capacity of laptop hard drive has greatly increased, so it can hold all users data. However, have you ever got a black screen while you are working on a files? Or you delete a folder which holds all of your important files by accident? All of a sudden panic occupies all your nerves because you maybe lose all of your working documents. And this is when laptop data recovery come to use. 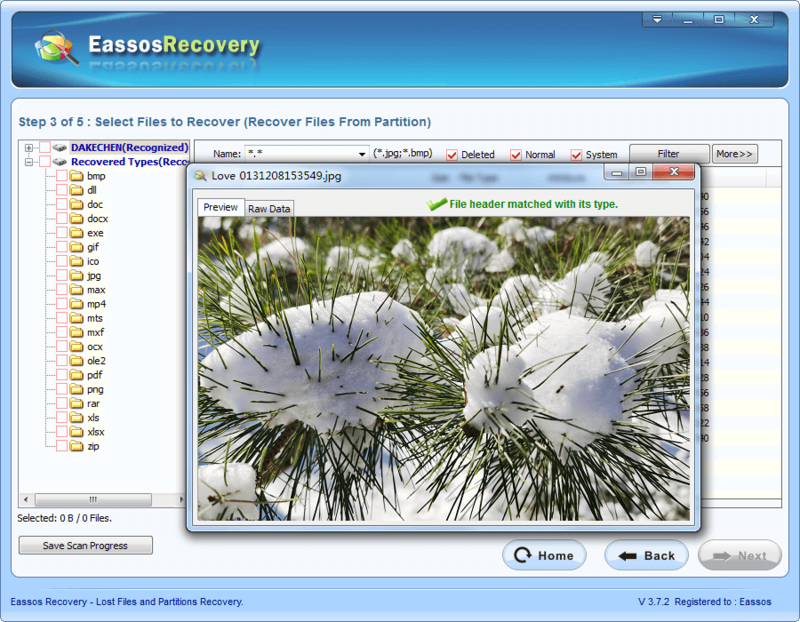 Whether you believe it or not, there is recovery software that is able to recover lost files. 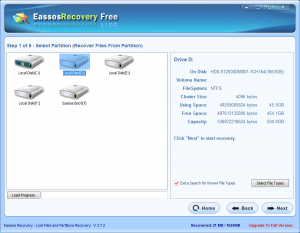 How to do laptop data recovery? 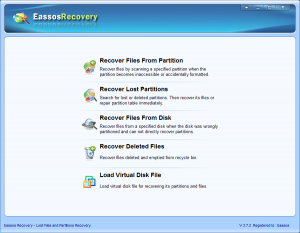 Eassos Recovery is helpful in most of data loss situations. 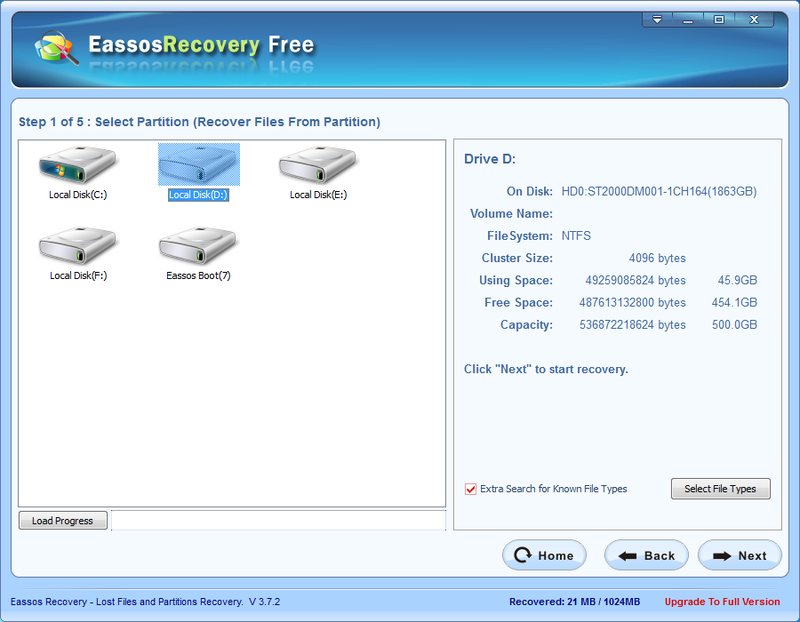 It is powerful and effective laptop data recovery software which can recover lost files easily. It is effective in retrieving deleted or formatted files for the cases of system crash, hard drive failure, file system corruption, inaccessible partition, RAW drive, lost partitions, virus attack, and unbootable system. 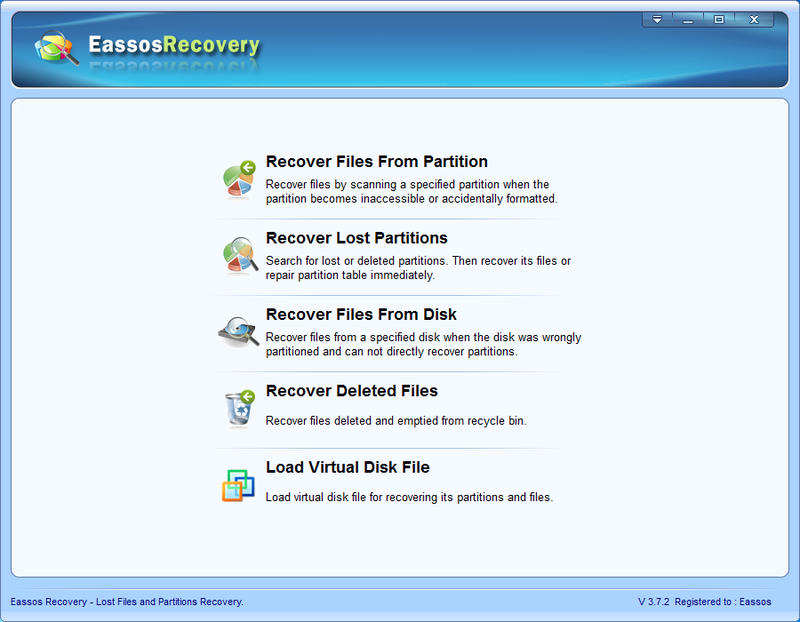 Step 1: Install Eassos Recovery and select correct recovery mode. Note that if you want to recover files from the entire laptop hard drive, the recovery software should be installed to USB flash drive or external hard drive. Step 2: Select drive or partition where lost files were stored, and click “Next” to start file scanning. Before clicking “Next” button, you can appoint file type for the deep scanning. Step 3: File preview and recovery. After file scanning is done, you can preview files like pictures, documents, videos, audio files and check file quality. 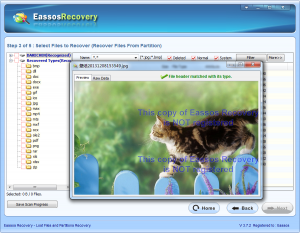 This entry was posted in Data Recovery and tagged laptop data recovery, laptop data recovery software, recover lost files by EASSOS. Bookmark the permalink.